Release the Bound Releases on November 18th! Matis has officially announced his new EP, Release The Bound, via Thirty Tigers. This highly anticipated EP features collaborations with electronic artist The Polish Ambassador, and Columbian pop duo Salt Cathedral. The exclusive EP stream of Release The Bound is officially LIVE on AXS!!!! Festival of Light Tour still has tickets remaining!! Grab them and a friend and spend an Evening Out with Matisyahu and the Boys! Check out this LIGHT SHOW and "THUNDER" action going down in W.A. back in April. A glimpse of what's in store for the Festival of Lights run! Back on September 21, 2016, Matis and Aaron did an impromptu performance at the Bend Farmers Market! Those that were lucky enough to be headed to Farmers Market sure had an awesome surprise in store! Matisyahu announced details today for his upcoming EP via Thirty Tigers. Fans’ first chance to experience the new music live is his annual “Festival Of Light Tour,” which begins in mid-December. Release The Bound is due out Nov. 18, ahead of his full-length album that’s set for release in 2017. The Grammy-nominated singer/rapper, who blends reggae, hip hop and alternative rock, collaborated on the EP with electronic artist The Polish Ambassador and Columbian pop duo Salt Cathedral. 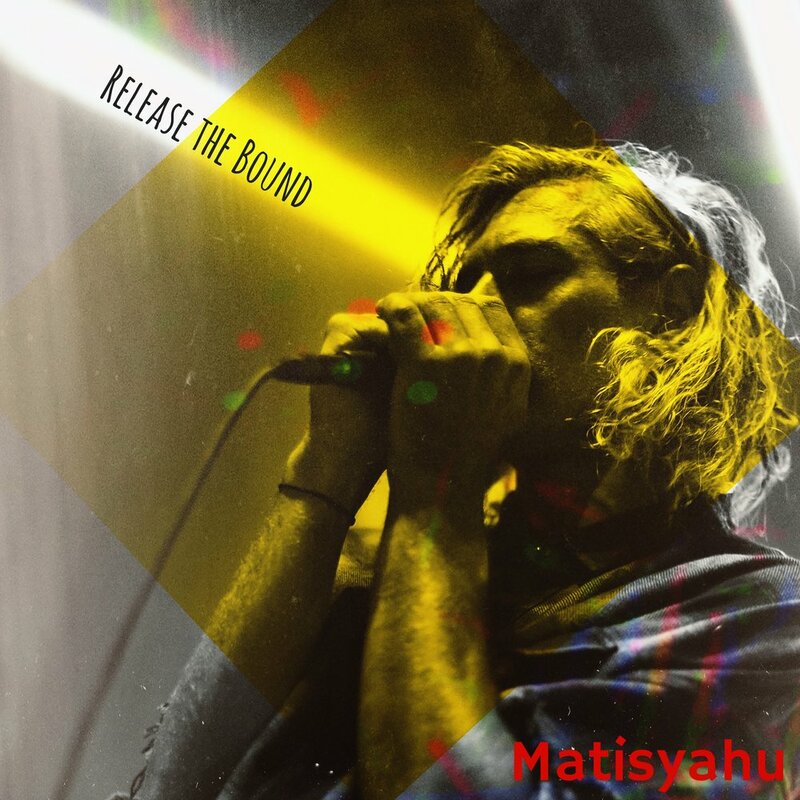 Release The Bound continues the theme of Matisyahu’s 2014 album, Akeda, which examines the story told in the book of Genesis in which God offered Abraham a final test of commitment by asking him to sacrifice his son. After Abraham bound his son Isaac to the altar, an angel appeared and said Abraham had proven himself. A ram was sacrificed instead. “Outside of my own self therapy I create music for The Bound, people who are stuck or struggling on their journeys. This EP is a narrative of Abraham facing this climatic moment when his whole life is in question and finally the RELEASE as he passes his ultimate test. I hope it brings inspiration to those facing similar questions,” Matisyahu says. Fan run podcasts have been going down and what a surprise it was to have Matis Drop in as the first caller! He talked about everything he has going on right now and more!! Look for announcements on Social Media and especially in the Official Matisyahu Facebook club. It's not everyday that you get a chance to talk with an artist! Call in to (619) 924-9745, while we are live, at 11 PM EST on SUNDAY nights with a question or comment! Show is hosted by Blake, David and Brady!! The admins of the official Matisyahu Facebook club! !